Swart bemagtiging in die landbou sektor – Liberaal verligte blanke boere – heelwat van die liberales was reeds vanaf 1982 betrokke om die land aan kommuniste (bolsjeviste) te oorhandig. Nie net besighede en (SOE) staatsinstellings bevat daardie swart bemagtiging (B-BBEE) sertifikate nie, maar die landbousektor ook. Wat elke besigheidspersoon, wat deel is van die volk moet onthou, as jou besigheid gekaap word met swart bemagtiging, is dit deur jou eie toedoen, ons het almal keuses na 1994 gehad. Ironies was daar hoeveel liberaal verligtes wat nie kon wag om op ‘n vliegtuig na Dakar te reis om ons weg te gee nie. Ons as volk kon al lankal ons eie potjie gekrap het, sonder om van swart bemagtiging gebruik te maak. Daar was ‘n Akkoord met ‘n mandaat aan die VF+ in 1994 gegee maar die rug is daarop gedraai vir ons vryheid – vir ‘n stukkie “reënboognasie” wat alles binnekort alles onteien sal wees en ons niks meer gaan saak maak nie. Diegene wat so in “koalisie” of “ooreenkomste met kommuniste sluit” – hoeveel ooreenkomste het geagte volkslede al met hul eie volkslede gesluit om hulle wat juis as gevolg van swart bemagtiging onderdeur is, hul werk verloor het of eenvoudig hul deure en boerderye moes prysgee weens swart bemagtiging of misdaad, geweld en aanvalle? Weer eens, daar was ‘n positiewe akkoord in 1994 gesluit en na 25 jaar kan ‘n sekere politieke party niks vir ons bied nie, inteendeel dis morsdood, want die het oorgegaan na ‘n multi-kultuur en koalisie met ander B-BBEE politieke partye wat beslis nie in selfbeskikking belangstel nie. Lees gerus maar die volgende gedeeltes wat hier geplaas word. Ramaphosa, die president van ‘n land, het op die wynplaas gekuier, en waar hy nes “mandela” opgehemel en waar selfs uit die “bybel” aangehaal word – hoe bedrieglik. Hoeveel steun het ons as volk al hierdie boere gegee as dit nodig is, gesteun tydens droogtes, hul produkte bemark en gekoop en vandag is bewys waar van hierdie boere se lojaliteite regtig is, nie by volksoorlewing nie. Besighede wat eens suksesvol was, behoort nie meer aan die regmatige eienaar nie. Dakar praatjies? En hier kan hulde gebring word aan die opregtes van hart, wat nie saamhardloop vir geld nie, maar die volksbelange eerste stel. Watter pad stap elkeen – daardie vraag ken elkeen van ons persoonlik en moet dit self beantwoord – of is dit vandag op die spoor, more weer op ‘n ander spoor? Dis swaar om te weet baie lyk soos ons, praat soos ons, maar is saam die kommunistie in een bed en tafel – hoe tragies. Wees ‘n slag eerlik – hoeveel boere en blankes is al sedert 1994 vermoor? of gaan daar saam die res – ons almal word uitvermoor en die moorde gaan gepaard met “dis gewone” misdaad, terwyl marteling en gruaanvalle dit anders wys. Soms spreek ons ons hardop uit op sosiale media oor veiligheid van ons boere. Maar gee die regering werklik om vir ons? Wanneer mens hierdie dinge in diepte van nader bekyk, dan is daar ‘n weersin wat opbou teen kommunisme en bolsjevisme wat ons as volk uitwis. During 2005, the people of Bouwland Trust, an Empowerment Project in Agriculture, received funds from the Department of Agriculture on Friday 22 July – they bought equipment. A total of R9,666,328 has been invested in Bouwland Estate near Stellenbosch to carry out the biggest agricultural empowerment venture yet in the Capes Wine Industry. Most of the 60 beneficiaries are still employed at the wine farms Beyerskloof, Bouwland and Kanonkop, and therefore the Bouwland Deelnemingstrust is an additional asset to their current jobs. The inspiration behind the project was to create true agricultural en economic empowerment for future generations of the community who has been part of the cape wines culture since Jan van Riebeeck planted the first vineyard in 1659. The 60 individuals of the empowered 39 families formed the Bouwland Deelnemingstrust and own 74% of the shares in Bouwland Estate. The Governments Land Redistribution for Agricultural Development Program, the Land Credit Facility (Khula), Absa Business Services and Beyerskloof (Pty) Ltd, joined forces to invest the R9,666,326 in Bouwland Estate to empower the families from the previously disadvantaged community in primary agricultural business. Red wine varieties currently cultivated at Bouwland are Pinotage, Cabernet Sauvignon and Merlot, while Cabernet Franc and Shiraz will also be planted in the near future. The wine maker of Bouwland is the South Africa’s international renowned wine maker, Beyers Truter who has 26% share in Bouwland. Because the Bouwland wines will now be marketed extensively in South Africa, their newly appointed national distributor, Somerset Wine International, is working on another empowerment scheme to involve family members beneficiaries of the Trustees in the nationwide marketing of Bouwland wines. 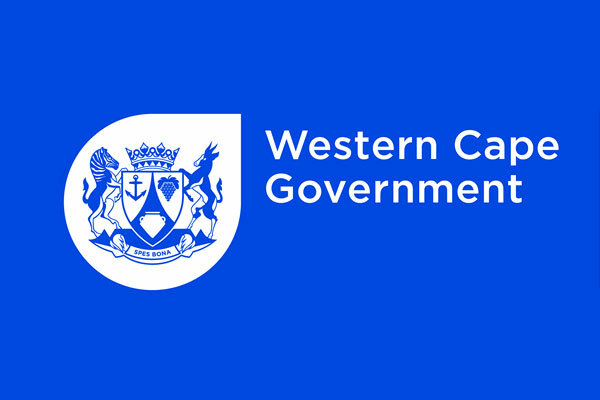 This was placed on the DA website of the Western Cape. Indien ‘n blanke kleinboer op hul eie soveel ontvang het wil mens nie eers spekuleer nie wat alles kon gedoen gewees het daarmee. A total of R9 666 328.00 (almost R10 million) has been invested in Bouwland Estate near Stellenbosch to carry out the biggest agricultural empowerment venture yet in the Cape’s wine industry. Most of the 60 beneficiaries are still employed at the wine farms Beyerskloof, Bouwland and Kanonkop, and therefore the Bouwland Deelnemingstrust is an additional asset to their current jobs. The inspiration behind the project is to create true agricultural and economic empowerment for future generations of the community who has been part of the Cape’s wine culture since the first vineyard was planted by Jan van Riebeeck in 1659. The driving forces behind it are South Africa’s internationally renowned wine maker, Beyers Truter, and Jan Hendriks, founder of the Stellenbosch Farm Workers Association (which led to the SA Farm Workers Association). Beyers Truter is co-owner of Beyerskloof and cellar master of Kanonkop Estate, where Jan Hendriks has been working as farm supervisor for more than 10 years. Beyers and Jan are the directors of the new Bouwland Estate and together with the nominated trustees will run the management of this vineyard farm. The 60 individuals of the empowered 39 families formed the Bouwland Deelnemingstrust and own 74% of the shares in Bouwland Estate. The Government’s Land Redistribution for Agricultural Development Programme, the Land Reform Credit Facility (Khula), Absa Business Banking Services and Beyerskloof (Pty) Ltd, joined forces to invest the R9 666 328 000 in Bouwland Estate to empower the families (amounting to 132 beneficiaries) from the previously disadvantaged community in primary agricultural business. ‘Many of the trustees are people who literally grew up on prime wine farms and are specialists in vineyard cultivation. They have been working in the vineyards all their lives and now are an integral part of creating superior vineyards, wine and a future for their children as co-owners of a wine enterprise,’ says Beyers. The Government’s Land Redistribution for Agricultural Development Programme made a cash grant of R3 761 328 to the Bouwland Deelnemingstrust. This amount has already been paid out to Beyerskloof for financing part of the 74% purchase price. Beyerskloof has invested R2 405 000 for their 26% share in Bouwland Estate (Pty) Ltd. The balance of the purchase price, R3 500 000, was supplied to Absa by the Land Reform Credit Facility (Khula Enterprise Finance Ltd.), which was then lent forward to Bouwland Estate at the rate of BA minus 0,25% over a period of ten years. Khula is a joint empowerment venture established by the European Commission and the Department of Land Affairs. Absa carries the risk and also supplies an overdraft facility of R1 500 000 for normal running costs and buying and bottling of additional wine. ‘When the story of South Africa’s successful transformation is told, initiatives such as these will be the milestones. They show the way towards a better South Africa, where people live together as prosperous, good neighbours,’ said Venete Klein, General Manager of Absa AgriBusiness, the project’s bankers. Absa is the leading bank in agricultural empowerment. According to George Mothoa, Business Manager: Land Reform Credit Facility (Khula), the Western Cape has proven to be one of the regions with the most successful partnerships for agricultural empowerment transactions. ‘We could identify the outstanding potential and merits of the Bouwland project immediately’. This empowerment transaction was celebrated on the estate with the Minister of Agriculture, Tourism and Gambling, Mr Johan Gelderblom, and at the same time the Bouwland Cabernet Sauvignon/Merlot red blend (which up till now has been marketed abroad) and Bouwland Chenin Blanc were also launched in the South African market. The next wine to be added to the Bouwland range is the flagship wine, a so-called Cape Blend in which South Africa’s home-grown Pinotage wine variety will be a major component. Red wine varieties currently cultivated at Bouwland are Pinotage, Cabernet Sauvignon and Merlot, while Cabernet Franc and Shiraz will also be planted in the near future. The Bouwland wines are made at the Koelenhof wine cellar from grapes cultivated at Bouwland and sourced in the surrounding areas. Beyers Truter is the winemaker and he has two talented trustees at his right hand to unhurriedly and meticulously be taught all the fine skills of making absolute top quality wines. Bouwland contracts people to work in the vineyards on the estate and experienced trustees were nominated to serve on the daily management board of Bouwland. Another prominent trustee is Cecil Jaap, who for ten years was the laboratory manager of Stellenbosch Farmers’ Winery’s and now is an independent consultant in wine laboratories. Because the Bouwland wines will now be marketed extensively in South Africa, their newly appointed national distributor, Somerset Wines International, is working on another empowerment scheme to involve family members and beneficiaries of the Trustees in the nationwide marketing of Bouwland wines. If I cry, don’t worry, it will be tears of joy,” Beyers Truter, cellar master of iconic Kanonkop wine estate and co-owner of Beyerskloof wine estate, said on Friday. Truter was speaking at a ceremony where he announced that 60 farm workers from three surrounding farms – Beyerskloof, Kanonkop and Uitwyk – had bought 74 percent of the shares in the 56ha Bouwland estate near Stellenbosch for R9.6 million. It is the first black empowerment deal in the wine industry and comes less than 10 days after a two-day conference on black economic empowerment (BEE) in the industry. The government’s land redistribution for agricultural development programme made a cash grant of R3.7 million available to the Bouwland Deelnemingstrust, which represents the 60 workers. Truter invested R2.4 million through Beyerskloof and the balance of R3.5 million was loaned to Bouwland Estate by Absa, which in turn was loaned the money by the land reform credit facility of Khula Enterprise Finance, the empowerment agency set up by the department of trade and industry. Bouwland is a well-established brand in Holland, Belgium, England and Denmark, and will be marketed alongside Beyerskloof. Truter started the formal proceedings by asking the 60 workers to enter the marquee in which the announcement was made. He said he and a friend, Simon Haliday, bought Bouwland six years ago in a neglected condition and had to replant many of the vines. The 60 individuals, who represent 39 families, formed the trust and while they would continue to work at the farms during the week, they would now tend their vines at Bouwland on Saturdays. The estate had already produced a Cabernet Sauvignon/Merlot blend and a Chenin Blanc 2003 vintage had been produced from grapes bought elsewhere. 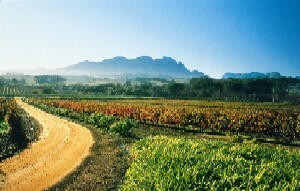 A flagship wine, a so-called Cape blend containing home-grown Pinotage, would be launched soon. Jan Hendriks, the chairman of the project and founder of the Stellenbosch Farm Workers’ Association, which led to the SA Farm Workers’ Association, said Truter had been positive and had demonstrated his desire to assist his workers. Venete Klein, the general manager of Absa AgriBusiness, said the bank understood that developing farmers of today were the commercial farmers of tomorrow. Don Mashele, an account executive at Khula, said Khula had agreed to do the deal because it was an empowerment project involving farm workers and a commercial farmer in the transformation of the agricultural sector.